Good morning!! Today is a wonderful day and so much to celebrate! Today is Jacob’s 14th birthday!!! Can you believe it? He has come so far in the last four and a half years. We are so blessed to have another day, another year with him. What a blessing he is to us! Last weekend was the Youth Hunting weekend. Jacob was blessed with another buck. A 5 point! God sure does bless him, that’s for sure! That makes 5 for 5. 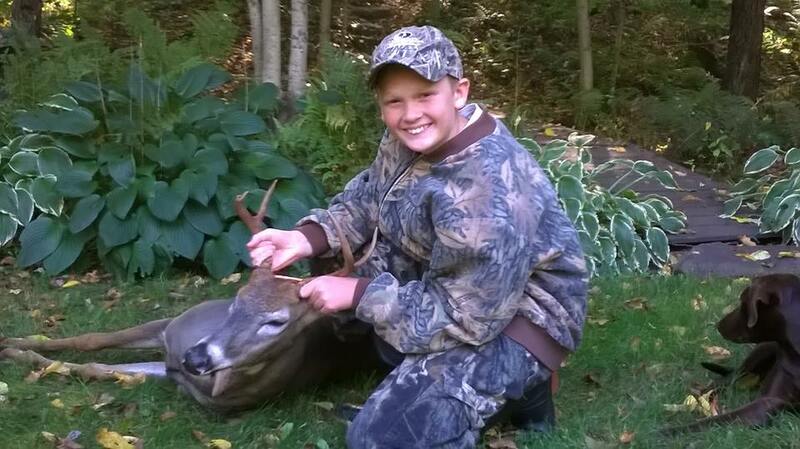 In the past 5 years, Jacob has gotten two 6 pts., a 7 pt, an 8 pt. and now a 5. I think Ken was a little worried that he might get a 9 this year. Ha! Although after Jacob shot the 5, a 9 pt. walked past his stand. 🙂 Maybe next year! 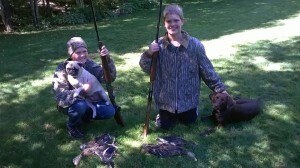 Jacob and Caleb were also successful duck hunting for the Youth weekend as well. Other than that, all is well! I have two happy and healthy boys. What else could a mother ask for?? October 27th will be Jacob’s next scans down in Green Bay. Your continued prayers are always appreciated!! God bless you all!